This is one of my favourite salads and it never fails to impress my guests. It is fresh and bright and it will wake up your taste buds. It is an excellent start to any Portuguese dinner. 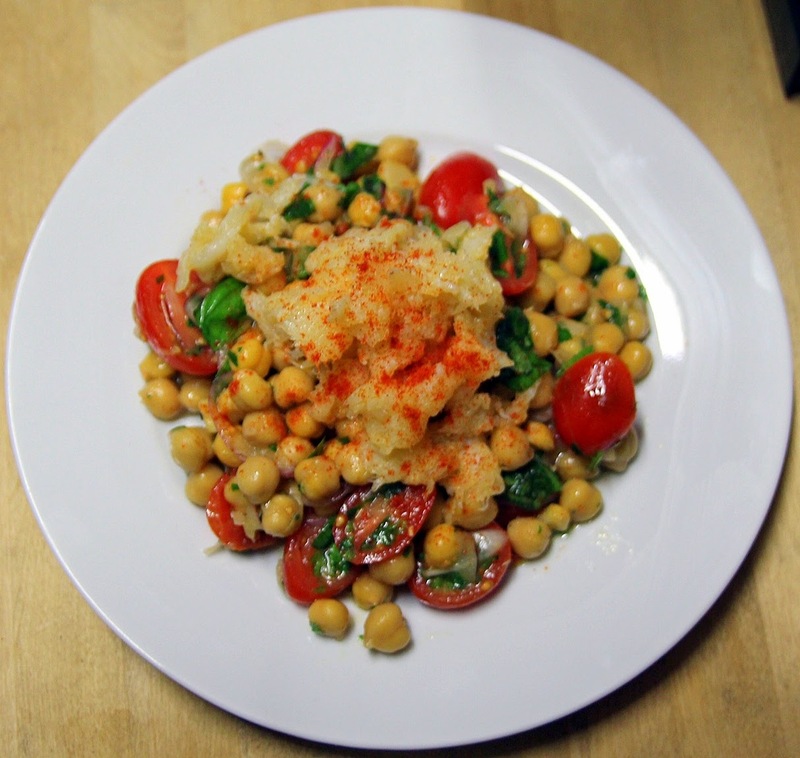 The sharp dressing balances the raw salt cod and chickpeas perfectly. If you can't find an aged white wine vinegar, just use a regular white wine vinegar. Enjoy! 1. Soak the salt cod in cold water for 24 to 48 hours, changing the water occasionally then drain. Remove the skin and bones and shred the flesh into medium size chunks. Set aside. 2. To make the dressing; in a medium bowl, whisk together the vinegar, 1/2 teaspoon paprika and mustard. Continue to whisk and add the olive oil. Season with salt and pepper to taste. Set aside. 3. 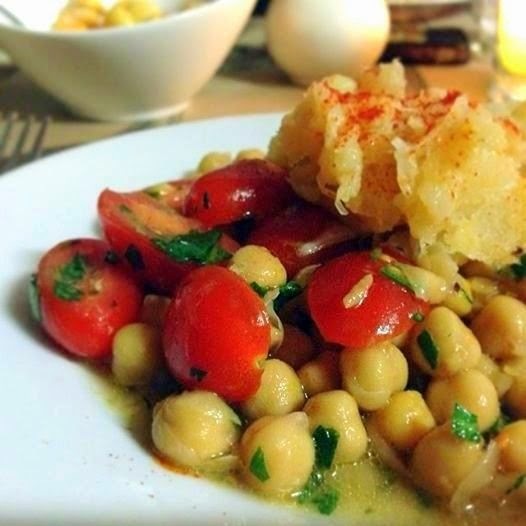 In a large bowl, combine tomatoes, red onion, chickpeas, parsley, basil and 1 teaspoon paprika. Toss to combine ingredients. 4. Dress the salad with 1/2 of the prepared dressing and season with salt and pepper to taste. 5. Dress the cod with the remaining dressing and toss to combine. Season with salt and pepper to taste. The cod might not need a lot of salt depending on how long you soaked it. 6. To serve, divide the salad among 4 plates. Top the salads with equal amounts of the dressed cod. Sprinkle the remaining paprika over the cod. Serve cold or at room temperature. I get to leave the first comment...more delicious food from the Dragon! Blog looks great, it's clean looking and easy to read. 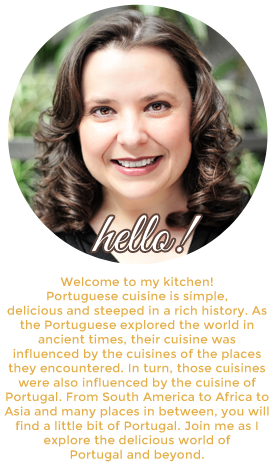 I'm excited about the recipes to come from your kitchen. I love it! I can't wait to try more of your recipes! All the best to you! xoxoxo !! Congrats on your new blog Paula!!!! It is impressive and I wonder if there's space left at your table for a hungry Spaniard ;D.
The dish looks simple but awesome! 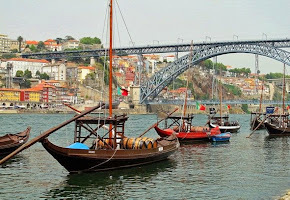 My kind of recipe… and of course with bacalao :D.
Best wishes to you and Peter!